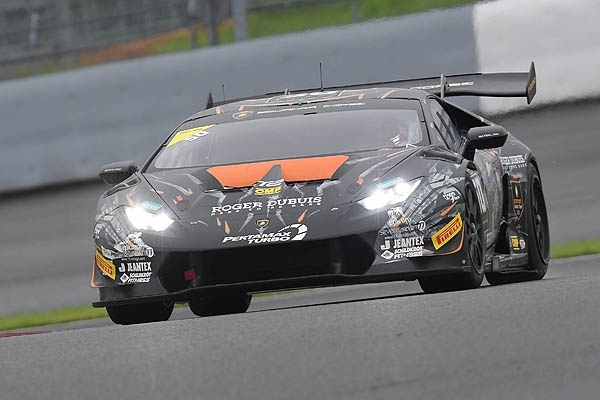 At very unpleasant weather conditions the 4th round of the Asian GT Championship was held in the Japanese mountains of Fuji. It was muggy-warm with high humidity and it rained a lot. 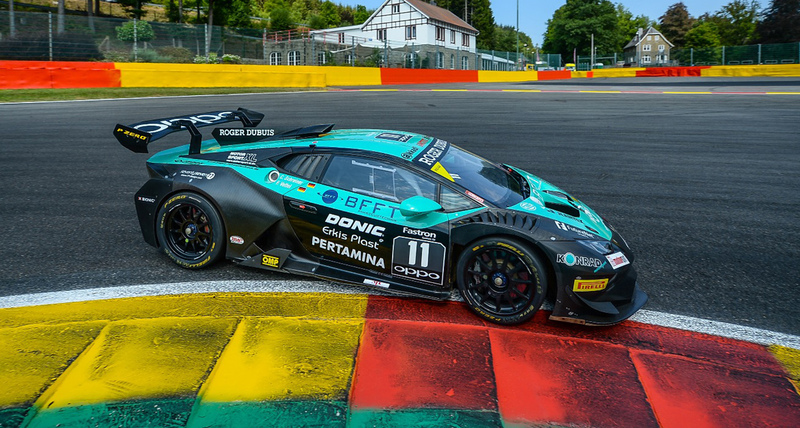 Thus, the conditions weren't easy for the 18-year old GT rookie from the Saarland which drove again on one for her completely new former Formula 1 race track. 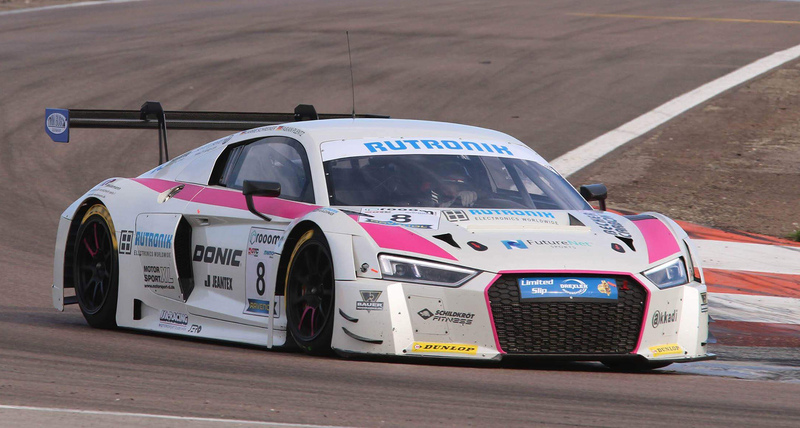 Nevertheless, Carrie did very well in the 2nd free practice at the this time completely dry track and were among the TOP 10 with considerably less than 2 seconds behind the fastest of the 20 race cars. In the qualifyings it was wet again. Towards the end when it became more and more dry Carrie unfortunately was in heavy traffic, couldn't improve further and had to accept P14. Her team mate Spike Goddard started from position 7 in the first race. 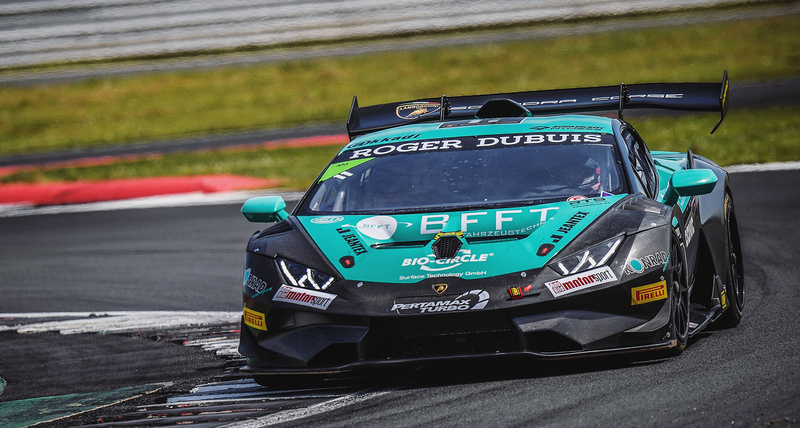 In his turn the Australian lost two positions and at the obligatory pit stop he passed the Lamborghini on to the young German girl. 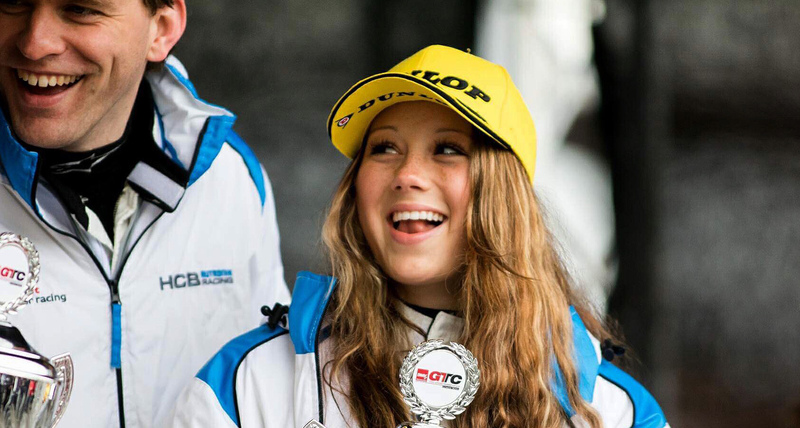 The young race girl did a strong, faultless race and finally was able to reach the 7th place overall. 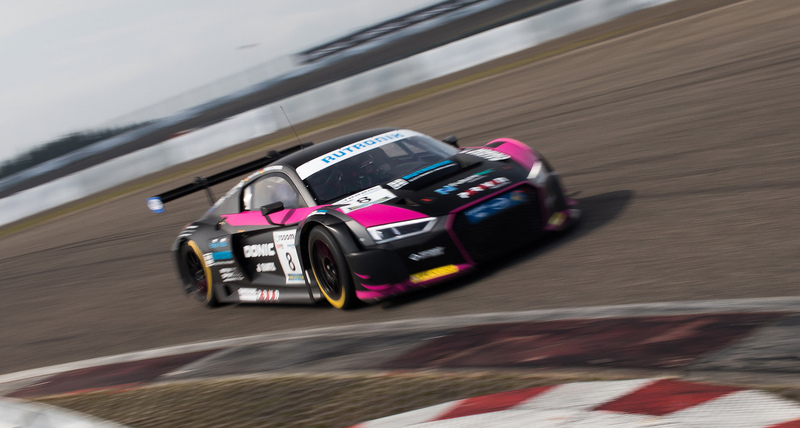 Additionally, she was responsible that the FFF Racing Team became second in the PRO/AM class and was on the podium again. 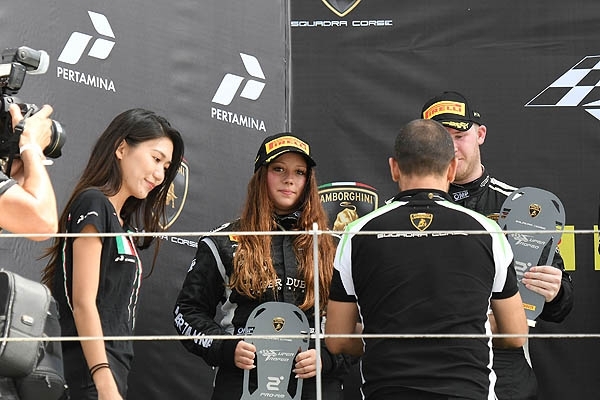 In the 2nd race the pilot of the Lamborghini Junior Program did the start turn. Carrie furiously started, immediately won 5 positions at the start and in the first lap and was already on P9! In the third lap, however, the decisive setback happened. An opponent hit her right rear wheel and turned her round. With a flat tire, she had to head for the pit for a wheel change. Back on the track she was one lap behind and it wasn't possible to reach a good placement anymore. “Afterwards the driver had apologized immediately, such things can happen in a tough duel. It was a pity, because after such a good start we would have been able to fight about the victory in the PRO/AM class. In the first race, we did everything possible. Under these difficult weather conditions at the weekend I've again learnt a lot on a race track which was completely new for me. 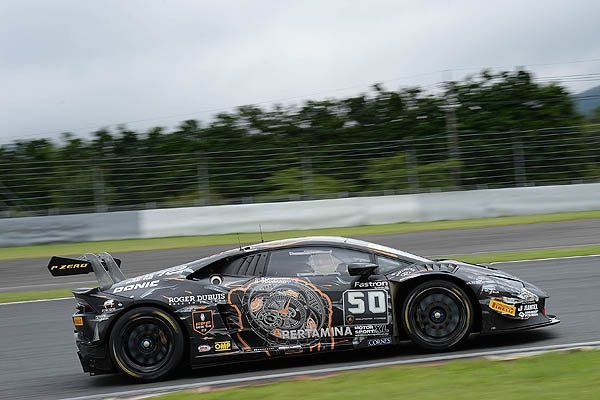 This year there are a lot of strong drivers in the Asian series, even the older Japanese, that are some former factory drivers give their best and above all they already perfectly know the race tracks. Thus, I can be satisfied with my performance. Now I'm very much looking forward to the race on my home circuit the Nürburgring from 15th – 17th September“, said Carrie after an exciting weekend.